Features: Our cast oyster shell salt cellar and spoon set has always been a charming way to serve salt for your dinner guests. 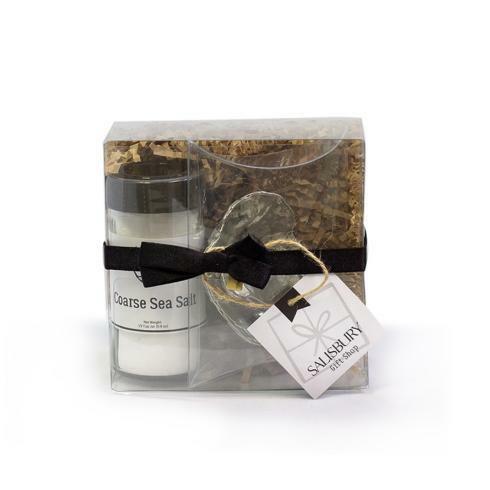 Now we've paired the oyster shell cellar and spoon together with delicious coarse sea salt in a gift set that's packed, tagged, tied with a bow and ready to go! 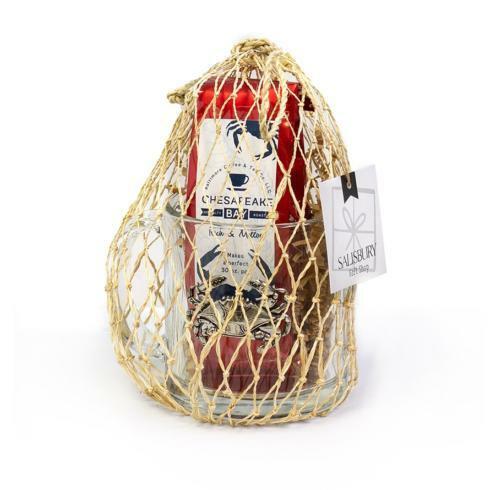 If you need a great hostess, birthday, housewarming, or anytime gift, our oyster shell gift set is perfect for your beach-loving friends.